If you want to know about Crewel Embroidery Katherine Shaughnessy is the person to talk to! Katherine designs 'Wool & Hoop' Crewel Embroidery Kits and is the author of the recently published book New Crewel. 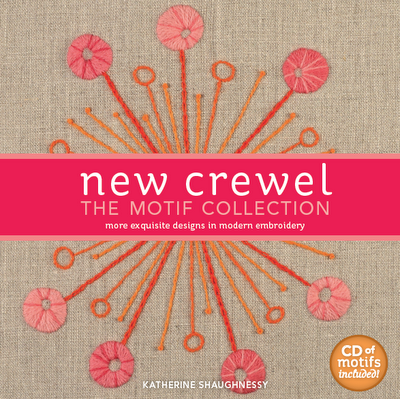 The Motif collection (read our review here) and the very successful The New Crewel (2005). We are giving away one copy of Katherine's latest book at the end of this post. Your first book book the New Crewel was a huge success, did that surprise you at all? Totally, but kudos to Lark Crafts for the beautiful layout and design. I think the keys of it's success laid in the easy to follow instruction and simplicity of the patterns. Each design required only two or three stitches and three of four colors. While I was surprised, the success actually makes sense because at this point it had been decades since anyone had updated crewel. I just took this simple modern design and incorporated an upbeat color palette. What would you say is essentially the difference between 'new' and 'old' Crewel? The only difference between the new and old crewel are the new designs and the color palettes that reflect today's sensibilities. Everything I've taught and everything I've written in my books begins with all the very most traditional materials. From pure linen to one hundred percent pure worsted wool thread and all the stitches that haven been around for hundreds of years. I was surprised to learn that Crewel embroidery actually is not so much a different technique (compared to 'regular' embroidery) but it simply uses different materials. Can people with some embroidery experience jump right in and be successful Crewel Embroiderers too? Absolutely. In fact, the most fun thing about Crewel embroidery is that it's so free form. You get to break out of your needlepoint and cross-stitch grid. You can use patterns, but you can really have fun just making up your own designs. One woman who came to my latest class brought some amazing Crewel work that she has designed inspired by my first book. It was so neat to see her creativity. Your designs have a definite retro feel to them and for some reason 'Scandinavian folk' also springs to mind. Where do you find inspiration for your work? Certainly the designs for my first book The New Crewel were inspired by my love of retro designs from the 50's and 60's. However in the Motif Collection, the designs are much more organic. They were largely inspired by the colorful crayon drawings of my children that fill the front of the refrigerator. 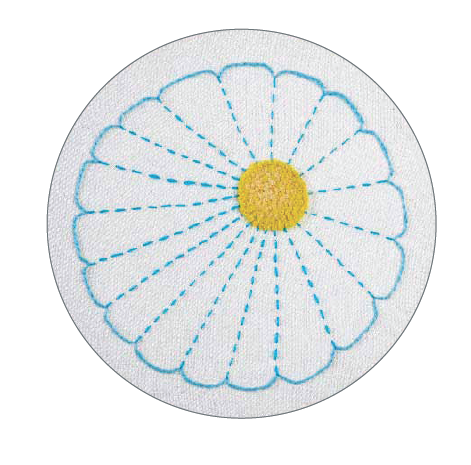 Your latest book is dedicated to Erica Wilson (needlework designer, 1928-2011). In what way did her work influence your own work? 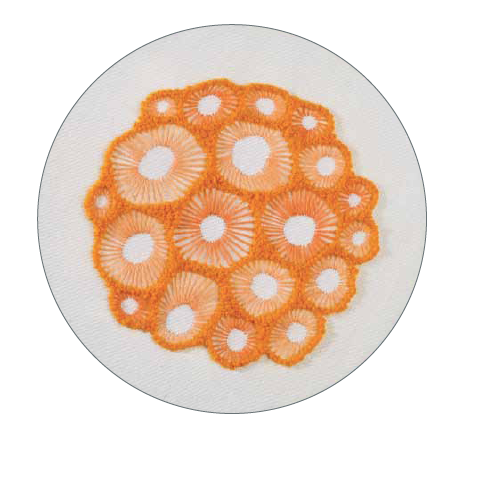 When Erica Wilson came to the United States, she reintroduced Crewel work to American needle crafters giving them excellent instructions. She also offered a colorful whimsical style that was far different from what anyone had ever seen before. Before I published the first book, I actually called Erica Wilson to get her approval. She gave me her blessing but not before giving me some corrections on a couple of stitches. I had always wanted to meet her in person and was quite sad in December when she passed away before that could happen. 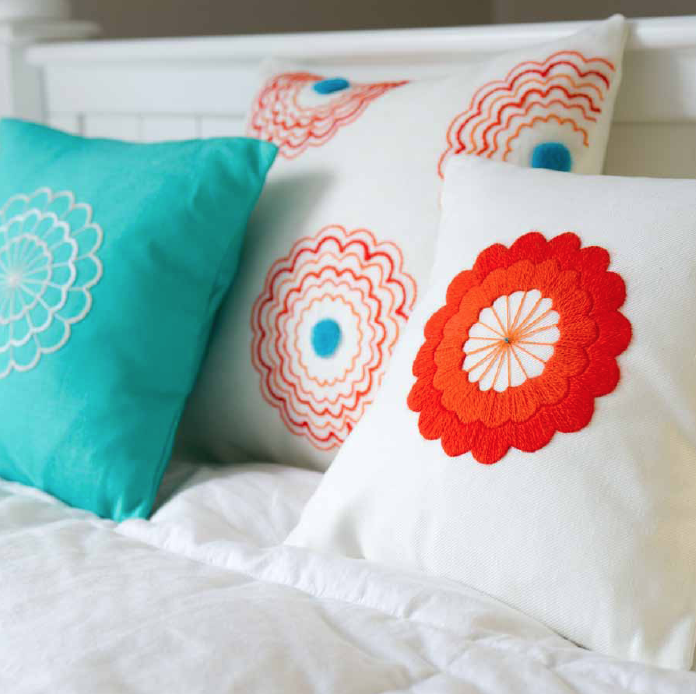 Do you have a personal favourite pattern from your new book? Yes, my favorite is Seed Pod. I like that with just two stitches and three colors I was able to create something with so much depth and play on texture. Do you have a favourite craft book that is especially inspiring to you? I have two Japanese books that fell into my collection that I adore. I cannot read the text but the hand embroidery work is super fun. The author embroiders on everything from underwear to organza. Thank you so much for talking to us Katherine! Find Katherine's books in your local bookshop or online. 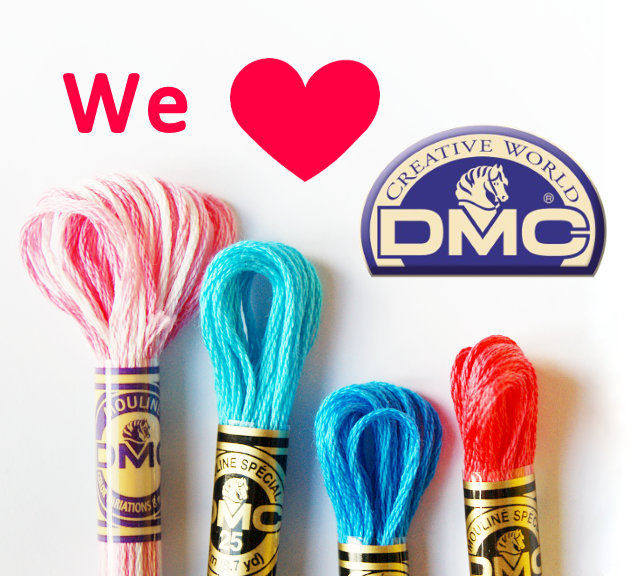 Visit the Wool & Hoop shop for Crewel supplies and Crewel Embroidery Kits. I should win because I want to learn to be crewel to my friends. I should win because it would totally enable my growing love for hand stitching projects. The EPP bug has already got me, time for the embroidery and crewel bug to get me, too. I'd love this book! I need to take up a new crafty hobby so my cats have more precious things (that have taken me hours to make) to be sick on. OH my goodness, this book looks amazing. I would love to learn to take my stitching to this beautiful level. It looks so fun! I want to win so I can give my friends some really "crewel" gifts! This book looks like it will be so much fun to read and make all the things inside! I'd love to win this book, just because I would! I hadn't embroidered for a long while found this blog and a few others, really inspired me to get back to it. I used to do crewel years ago, would be nice to get back to it again. This looks a great book! Now I'm going on holiday this week but it would be so 'crewel' not to let me enter wouldn't it??? I would love to win and show my daughter that crewel can be nice! thanks! Great interview! I LOVE the colored linen over on Wool & Hoop. I got the sample pack and the squares have been perfect for my small little learning projects. What a wonderful interview and book. Love the colors, designs, everything! I would love to expand my needlework skills with a new technique. Thanks for the opportunity to win such a fabulous book. My favorite part of regular embroidery is making fill stitches and thick fat lines, so I think I must be destined for some Crewel work. I just love that seed pod motif so much too! 'twould be a cruel crewel fate to not win this! Hello, crewel world! :) That book looks awesome! I don't know much about crewel and would love to learn more - LOVE to hand sew! thank you! This looks like a great book to introduce me to crewel work! i'd love to win-i just picked up katherine's first book that was waiting for me in my library queue two days ago=how's that for a great reason to win! let's see-i taught myself to embroider while i was pregnant on a vacation to mexico, i fell in love with it, i'm really really good at it, i love Katherine's aesthetic, and her book would be put to great use=i'm just waiting for a great excuse to try crewel. thanks! I'm on a crewel mission - playing with needles every day! This new book should come home to me. It will be a crewel thing if the first book should live here with me without its sister! I would love this book - I have been thinking longingly about crewel for a while and this would definitely get me going! I have a beautiful crewel picture worked by my husband's late great aunt and I could make a contemporary companion for it. I would love love love to win this book because even just the few glimpses I've had of it has me absurdly excited - gorgeous shapes, great colours, wool, linen - all my favourite things! Pun...pun...how about "you have to be crewel to be kind" and it would be awfully kind of you to pick me to win! 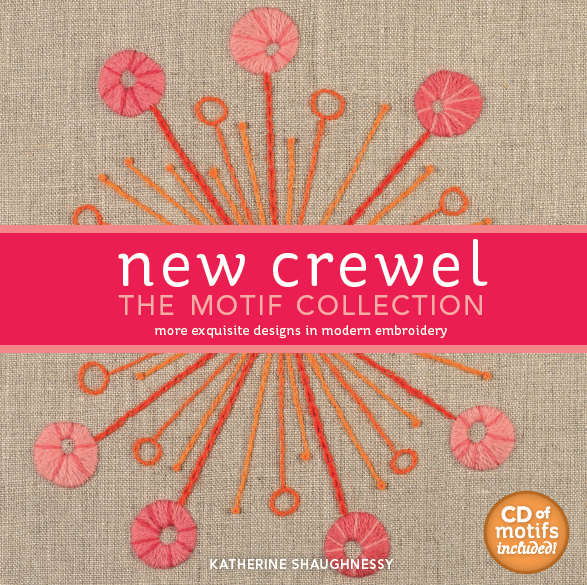 I would love to win this book because I am so fascinated by crewel and would love to learn how it is done. I don't like to be cruel...it would be very, very bad to be cruel. And yet crewel appeals to me so much. Tries to draw me in to learn its secret ways. It is almost cruel the way it tempts me. I must know more. The last time I tried using wool, the results were crewel to the eyes... I could use the practice! Awesome interview, love the blog too. It would be "crewel" not to pick me!!! Don't forget that Katherine is on tour right now promoting the new book and teaching new crewel workshops all over the midwest, east coast and south. I really want to win this book because I need more inspiration. i loved the first book and i'm looking forward towards the second one. great work and nice inspiration! I loved your interview. I have never gotten the opportunity to try crewel embroidery and would love to give it a try. This book would be the perfect way to start. Thanks for having the giveaway! I'm a big fan of Mrs. Shaughnessy's! I own a copy of "The New Crewel" and have stitched several of the designs featured there (the cover design, birthday wish, is a fav). Her new book looks great and I would love a copy! This is one crewel world I'd like to explore! 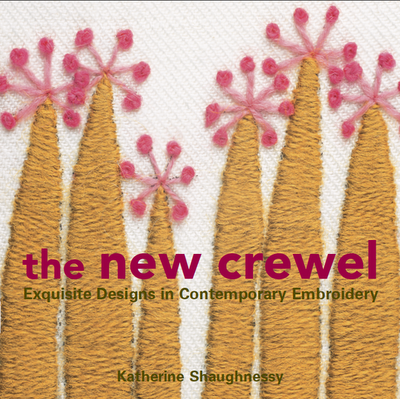 I would love to win this book, Katherine's first book is actually what's inspired me to try my hand at crewel. I loved her designs and I loved the idea of drawing my own designs and the freedom of crewel. It's crewel but she totally hooked me! Please enter me! I have recently started embroidering again and though my current projects are crewel-ty free ;-) I'd love to do crewel! Stitch A Cat Portrait with Follow The White Bunny!